(91outcomes.com) - Thirteen years ago, VA Secretary Anthony Principi announced the formation of a new advisory panel, "to help VA oversee its research into the medical problems of Gulf War veterans." The creation of the Congressionally chartered Research Advisory Committee on Gulf War Veterans' Illnesses (RAC) had a been a long time in coming, and was the result of a series of hard won battles by Gulf War veterans to create an independent oversight body to help change the direction of the federal government's research efforts. In the mid-to-late-1990s, ill Gulf War veterans saw numerous Congressional hearings, investigative reports, and watchdog challenges to staunch denials by the Departments of Defense and Veterans Affairs that Gulf War Syndrome was anything more than just stress or the same as after every war. The result was landmark legislation in 1998 to redirect the federal government's previously misdirected medical research efforts, open up VA healthcare to all newly discharged war veterans, and create a new pathway for Gulf War veterans. Among the many provisions of the enacted bills was a mandate to create this influential new advisory panel, the RAC, which was to include Gulf War veterans and representatives of Gulf War veterans among its membership. While the law mandated the RAC's creation no later than January 1, 1999, it took a change of Administration and three more years of battling by Gulf War veterans and Congressional allies before the panel was finally implemented in 2002 -- a major victory for Gulf War veterans. Over time, however, VA staff showed their unwillingness to implement many of the RAC's important recommendations. 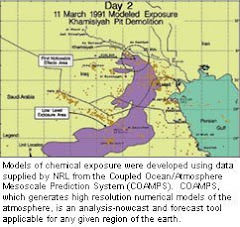 In November 2008, the RAC issued a major scientific report showing that Gulf War Illness is real, is a serious physiological -- not psychological or psychiatric -- health condition affecting between at least 175,000 and 210,000 veterans of the 1991 Gulf War, and that effective treatments likely could be found. In 2010, the RAC finally succeeded in convincing VA to begin a comprehensive planning process for a true strategic plan aimed at solving Gulf War Illness and improving the health and lives of those affected -- the core of the RAC's mission since its inception. For nearly a year-and-a-half, a myriad of medical researchers and Gulf War veterans and VA staff on an array of advisory bodies and drafting subcommittees had completed the task, and a true plan was ready. However, by June 2012, it has become clear that some VA staff were up to the same old tricks -- delaying, deferring, denying -- and the final consensus-based expert-created plan was whitewashed and important core pieces gutted. Even the name "Gulf War Illness" was removed from the title and throughout the document, reflective of the belief of some entrenched VA staff that Gulf War Illness doesn't really exist. Things became even more pointed when the Oversight and Investigations Subcommittee of the U.S. House of Representatives Committee on Veterans' Affairs took VA to task in a March 13, 2013 hearing in which a former top VA researcher-turned-whistleblower blew the lid off of VA staff wrongdoings covering up Gulf War Illness and other deployment health issues. Gulf War veterans now await VA Secretary Shinseki's actions to repair the damage that VA staff have done, and his direction to VA staff to implement the many RAC recommendations that remain unanswered, ignored, and circumvented by VA staff. VA staff have prevented the RAC from meeting since its June 19th meeting last year. Finally, however, the RAC is being allowed to meet next week in Washington, DC, just downstairs from Secretary Shinseki's office. Some entrenched VA staff continue to seek to roll back the clock, including circumventing the 1998 law and surrounding Congressional intent that created the RAC. Will Secretary Shinseki be on the right side of history? We shall all soon know. To date, he has never appeared at a single RAC meeting in more than four-and-a-half-years as VA Secretary -- unlike his predecessors. The original VA press release creating this important, unique advisory panel is below, and is well worth a careful read. WASHINGTON – Secretary of Veterans Affairs Anthony J. Principi today announced a new advisory committee that will help the Department of Veterans Affairs (VA) oversee its research into the medical problems of Gulf War veterans. "Gulf War veterans have waited too long for answers to many of their questions," Principi said. "This committee, composed of medical experts and veterans, will focus on the research that we hope will improve the health of ill Gulf War veterans." The 12-member Research Advisory Committee on Gulf War Veterans' Illnesses was established by Congress to advise the VA secretary on proposed research studies. The panel must submit an annual report on the status and results of government research during the previous year and on research priorities identified by the committee. The group's charter, established by Section 104 of Public Law 105-368, which was signed Nov. 11, 1998, says the panel shall "provide advice and make recommendations to the Secretary of Veterans Affairs on proposed research studies, research plans and research strategies relating to the health consequences of military service in the Southwest Asia theater of operations during the Persian Gulf War." Although the panel will not conduct research, its charter instructs the committee to review "all relevant research, investigations, and processes" done in the past to assess methods, results and implications for future research. The committee will also review proposed federal research plans, initiatives, procurements, grant programs and other activities regarding Gulf War-associated illnesses. The committee will be led by James H. Binns Jr., a Vietnam veteran, former principal deputy assistant secretary of defense, and chairman of the board of Parallel Design, Inc., of Tempe, Arizona, acquired by General Electric in December 2000. The advisory committee will be assisted by an expert panel of scientists and subject matter authorities who will add additional expertise, functioning as an auxiliary that reviews committee findings and provides expert guidance to the committee and the Secretary. Why is VA creating this committee? Federal law (PL 105-368, Nov, 11, 1998) directed the Department of Veterans Affairs to create an advisory committee to review research programs and make recommendations about the direction of VA's exploration of the medical problems of Gulf War veterans. The Secretary of Veterans Affairs chose men and women who comprise a diverse set of scientific experts who have conducted Gulf War research as well as experts who have not, and thus bring "fresh eyes." Their expertise includes epidemiology, biomedicine, neurology, occupational health, toxicology and vacinology. Likewise, four members of the committee are veterans (three from the Gulf War) and not necessarily scientists or clinicians. Among them are men and women from the advocate and veterans service organization communities as well as one Gulf War veteran who has not been involved in the issue. The committee chair is a successful business manager and Vietnam veteran conversant with the issue and skilled in organizing and focusing enterprises to accomplish goals. Why did more than three years elapse between the legislation and the creation of the committee? This administration cannot speak for the previous administration. It has taken us several months to refine the committee's charter, review previous research efforts, discuss with veterans the government's research program and recruit potential committee members. Will the committee determine which research proposals get funded? No. The committee will not decide which researchers or which research projects receive federal funding. The committee will advise the Secretary of Veterans Affairs, who will then make decisions regarding research. The committee's focus will be on broader issues – Is the government funding research that will answer the central questions about Gulf War illnesses? Are there gaps in the research? What can the committee hope to achieve? The committee can contribute to ensuring all appropriate avenues are explored and that promising research, as well as gaps in research, is identified to the Secretary of Veterans Affairs. The guiding principle of this committee is to advise on research in order to ultimately improve the health of Gulf War veterans. The work of the committee will purposeful, grounded in the best science, and focused on results - whether they make a difference to the health of Gulf War veterans. The importance of gaining every advantage from the lessons of the Gulf War cannot be overstated. In the war on terrorism, these advantages may become critically important. The numbers of veterans and active duty personnel who have been, or may be, affected by service in the Gulf demand that we evaluate each avenue of potential research for answers to the health questions stemming from this event. Will the committee review only VA funded research efforts/proposals? No. Much research has also been done by the Department of Defense and the Department of Health and Human Services. The committee will review this research as well, to assess its potential for contributing to the answers we seek. How is this committee different from other such efforts? This committee will include representation from diverse viewpoints concerning the direction of applicable research, including the veterans of the war. The committee comprises some scientists and veterans' advocates who have criticized past federal Gulf War research efforts for not fully representing all viewpoints. Much research has occurred in the international community since the war; reflecting that fact, the committee includes several noteworthy members of the international scientific community. Will the committee do its own research? No. The committee will not do any research. Who will the committee report to? The committee will report to the Secretary of Veterans Affairs. An annual report, summarizing its activities, will be submitted to the Secretary by December 1 of each year for the preceding year. How long will the committee be operate? The committee is formed under Public Law and has no termination date. How long will committee members serve? People will serve terms of two or three years. We have staggered membership terms to provide continuity - not all terms will expire in a given year. The Secretary of Veterans Affairs may reappoint members when their terms have expired. How was the committee chair chosen? The Secretary of Veterans Affairs appointed the chairperson for a two-year term that may be renewed by the Secretary. His background is in the private sector. Over the past twenty-five years, he has been involved in starting and building two high-tech medical electronics companies. He has spent a lot of time working with doctors and scientists to develop better solutions to medical questions. How often will the committee meet? The committee will meet at least twice per year and more often at the discretion of the chairperson. Subcommittees will meet as necessary. Can anyone attend committee meetings? Committee meetings will be open to the public. Advance notice of meeting dates and times will be published in the Federal Register. What is the Expert Panel and how will it function in relation to the committee? The expert panel comprises top-tier scientists and authorities to whom the committee may turn from time to time for expert guidance or review. The Secretary of Veterans Affairs may also use the panel for comment on committee findings; thus it is an independent resource for the department. Panelists were chosen by the Secretary of Veterans Affairs. They were appointed to staggered two- and three-year terms renewable by the Secretary. Will the expert panel have a chair? No. The committee chair, James H. Binns, Jr., will contact panelists to discuss duties and associated matters. Will the Expert Panel meet with the committee or on its own? A Vietnam veteran will head a 12-member panel formed to advise Veterans Affairs Secretary Anthony Principi on Gulf War illness research, the VA said Wednesday. Veterans Affairs Deputy Secretary Leo Mackay Jr. announced the panel of scientists, business people, veterans and veteran advocates in a news conference. The panel was mandated in a 1998 law that was never implemented during the Clinton administration. The panel includes some critics of government-supported research on Gulf War illness and is meant to "hasten the cures, alleviate the suffering and put an end to a decade of turmoil," Mackay said. "The sick and the suffering veterans need answers," he said. The panel will be led by James Binns Jr., a Vietnam War veteran and former chairman of a medical equipment company in Tempe, Ariz. Binns said other government panels have been slow to follow up on evidence that Gulf War illness was a real malady and research that might lead to cures. "I wonder why the attitude hasn't been, 'Let's jump on this. Let's pursue these encouraging bits of research,"' Binns said. "I think that's where we can make a difference." 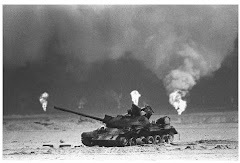 Veterans of the Gulf War have complained of various maladies, including memory loss, anxiety, fatigue, nausea and chronic muscle and joint pain. Recently, the VA announced research findings that Gulf Veterans are nearly twice as likely to develop Lou Gehrig's disease as other military personnel. Mackay said at least $150 million has been spent on 200 studies on the subject. A presidential panel concluded in December 2000 that none of the research has validated any specific cause and that more study is needed.